Kirin is a major global brand that's gaining momentum. These last few years in particular it has taken some large stakes in overseas companies, while maintaining domestic dominance. That global history actually began in Yokohama in the 19th century. Its roots? An ambitious entrepreneur. Norwegian-American William Copeland launched Spring Valley Brewery in the Yamate area in 1870, just after Japan began rapidly modernizing in 1868. Prior to that, there is evidence that the Dutch imported beer through Hirado and then Dejima, a tiny trading outpost in Nagasaki dating from 1641 to 1847. A governor there, Hendrick Doeff, even brewed his own when his supply got cut off from wars overseas. But Copeland had brewery training from a famous German brewer when he lived in Norway. His skills would come in great demand after he arrived in Japan in 1864. Copeland's beer quickly became popular among the growing foreign community. His fortunes, however, soon declined, in part due to savvier competition. His brewery went up for auction and was re-established as Japan Brewery Co., Ltd in 1885, with capital from a handful of foreign businessmen. Three years later, the company released a German-style lager with the brand name "Kirin Beer." The following year, the group released a label design that closely resembles the Kirin dragon label today. The little brewery on the hill was booming but by the early 1900s, things got tougher. A hefty liquor tax law in 1901 started putting small breweries out of business. Others decided to consolidate into a large company, making competition fierce. To survive yet remain independent, Japan Brewery sought, and received, additional funding and human resources to rise to the challenge. 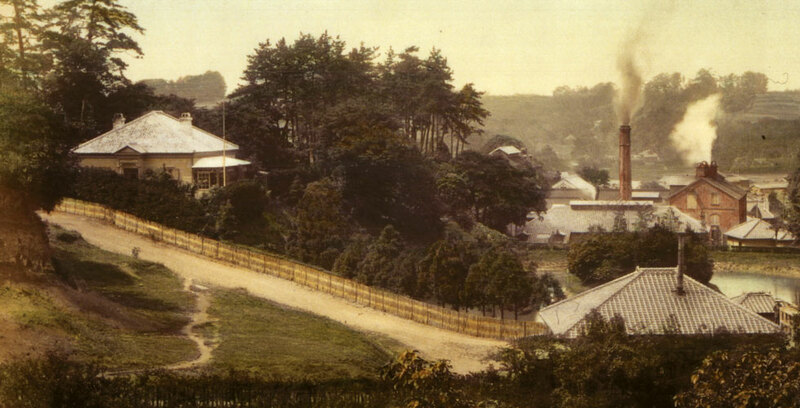 The new group re-established itself as Kirin Brewing Company in 1907. The 1920s saw Kirin expanding steadily, opening new factories in other parts of Japan. Then in September of 1923, the Great Kanto Earthquake struck, destroying most of the brewery (and Yokohama). Realizing the space between the hills in Yamate was not enough to rebuild and expand, the company relocated a few kilometers north, to Namamugi. Although Kirin has larger factories elsewhere in Japan, the factory established in Namamugi in 1926 still operates today. A beer restaurant occupies part of the campus, while the brewery itself provides regular tours in English and Japanese.